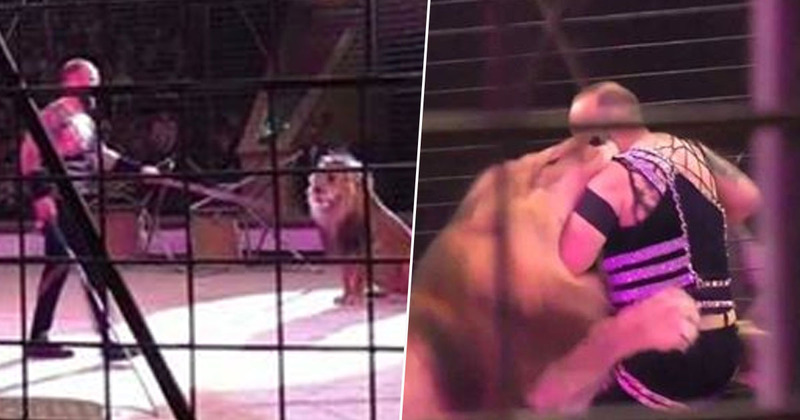 The moment a circus lion attacked its trainer in front of a terrified audience was captured on camera. 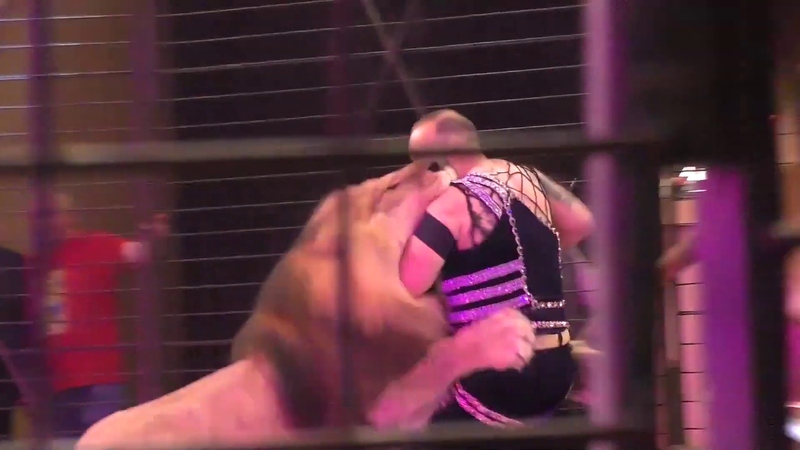 In the footage, crowds of children along with their guardians can be heard screaming as the lion bites into 32-year-old Hamada Kouta, at a circus performance in Luhansk, eastern Ukraine. 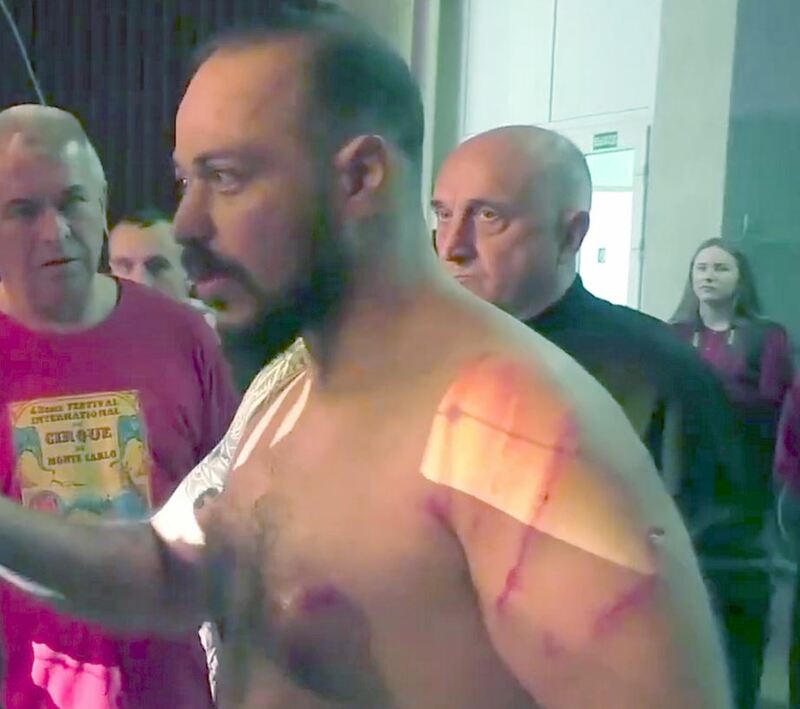 The Egypt-born entertainer, who’s a well known performer in eastern Europe, was also clawed by the lion who became aggressive in the ring. I called up one lion and the second one attacked me from the front. The lion jumped at me and bit me – but thank God not on my neck. He immediately let me go. My back, arm and leg were hurt. Scars from two claws and one tooth are on my leg, tooth marks on my arm, one centimetres deep from three claws on my back. Of course, I became lame, it hurts everywhere, because these are teeth. Although one of the lion’s teeth sunk into Kouta’s muscle, he claims ‘it’s okay’ despite it being treated as serious. The lion retreated back to its cage following the attack, with Kouta returning the other big cat to its enclosure too. Kouta, who works with a troupe of 10 lions, also asked the crowd to ‘calm down’, before starting the performance again from the beginning. He did this while ‘covered in blood’. It’s Kouta’s belief the lions were unsettled due to being made to perform immediately after arriving at the new venue. Explaining the troupe ‘did not have time to adapt’, Kouta claimed the lions attacked due to being ‘stressed’ and ‘moody’. He added this isn’t the first time he’s seen a trainer attacked, before describing his body as being covered in ‘scars’. Every scar is an experience. I trust my predators more than people. But there is a red line, if you step over – it may go the wrong way. When an animal attacks a trainer, it is 99 per cent the trainer’s mistake. Anyway, they are my children, so I know anything can happen. But it will never end with death, because they are my children. With Kouta trusting ‘predators more than people’, he clearly hasn’t had good experiences with the latter. 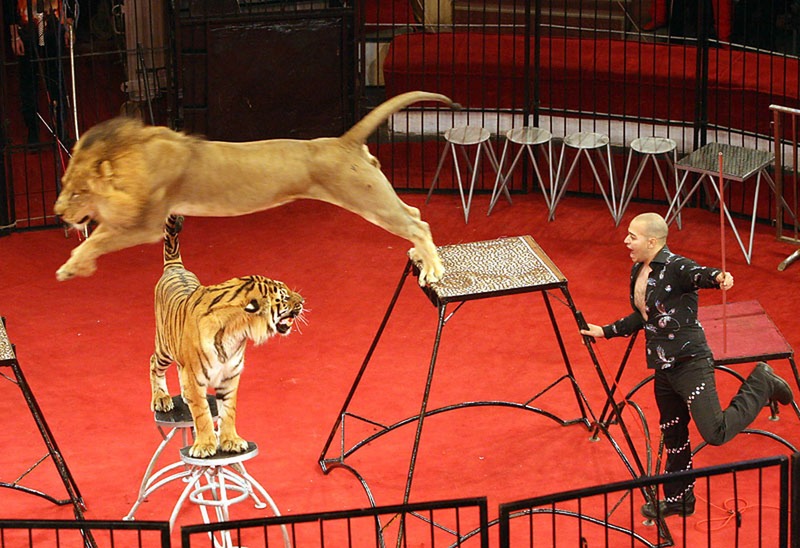 While travelling circuses were recently banned in the Ukrainian capital Kiev, rebel-held Luhansk is currently outside the government’s rule so the ban isn’t in force there.